Batman has a family of a very few that know his secret identity. Batman has close relationships with his butler/adopted father Alfred Pennyworth, along with a growing list of crime fighting vigilantes. Nightwing, first sidekick, aka first Robin. Jason Todd, second Robin, aka Red Hood. Tim Drake, third Robin, aka Red Robin. Damian Wayne, current Robin, Bruce Waynes biological son. Batgirl, aka Barbara Gordon, daughter of the police commissioner, turned vigilante. 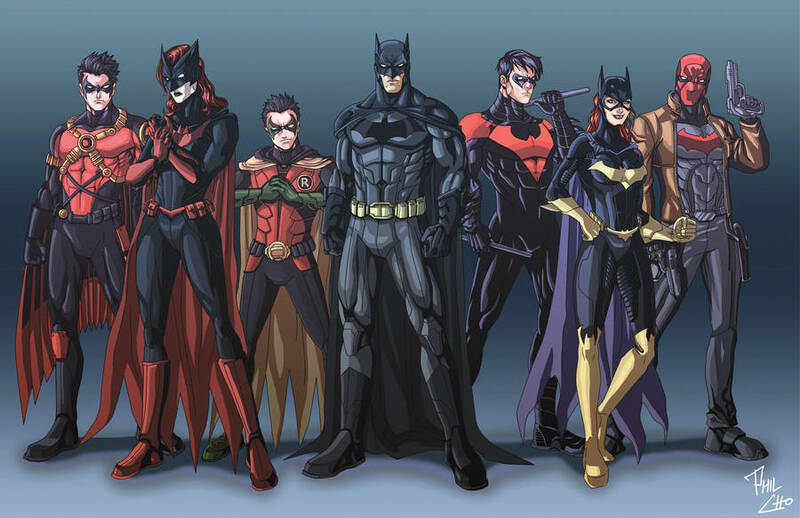 There are many more members of Batman's circle of trust not included such as Superman and Wonder Woman, however they don't share the same bond as the bats. For more information and updates email me xD Email.